The Project Management Institute (PMI) estimates that 87.7 million people worldwide will be working in project management roles by 2027, an increase of 25% from 2017. 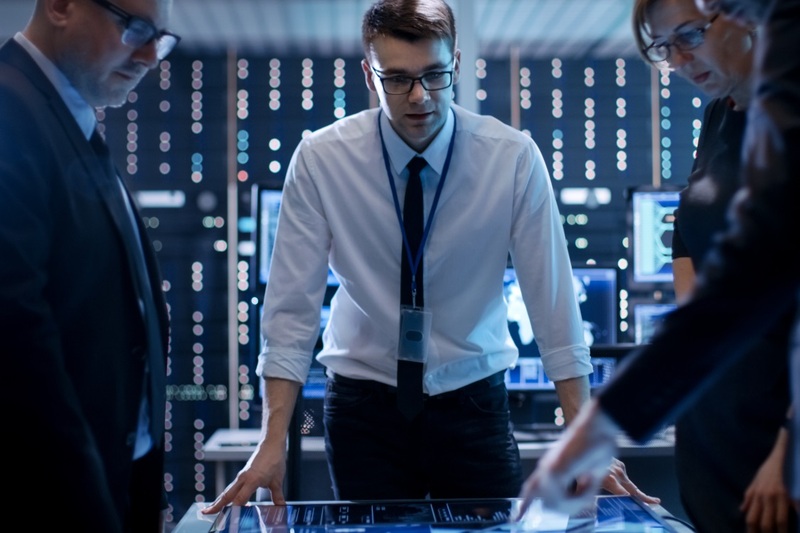 As businesses move towards a more project-focused way of working and become increasingly focused on digital transformation, the hunt for IT project managers is on. With this huge demand, there is a great opportunity for those with a myriad of technical and soft skills to move into a more senior project management position. Here are seven ways you can show an employer you’re ready to take the next step in your IT project management career. PRINCE2 is the most common project management certification in Europe, but qualifications in PMP, Agile or Scrum are also useful for showcasing your project management skills to a potential employer. Every project is different and hits different snags, so the ability to adapt your approach is hugely important. Being able to tailor your approach to each project and utilise the right mix of project management tools is crucial to prove that you are comfortable with a variety of ways of working outside of your preferred project management methodology. A project manager will spend 90% of their time communicating, according to the PMI. Given the importance of communication, being able to tailor your approach to suit a particular situation is vital for success as you progress into a more senior role. From running the project team meeting to delivering status updates to key business stakeholders, strong communication skills are key. If you can demonstrate your personable nature and talk with clarity about different situations where you’ve opted for different communications approaches, you’ll be able to impress when interviewing for those more senior positions. 66% of organisations rate leadership as the most valuable trait of a project manager according to the PMI, so being able to demonstrate your leadership skills is vital to show your worth as an IT project manager. Being able to talk about how you have motivated, inspired and encouraged a team are sure-fire ways to showcase your skills. While you don’t necessarily need to be a developer, having an understanding of the different technologies being used by IT teams is key to moving up the career ladder. Improving your technical knowledge across a variety of platforms could be the key to unlocking more career opportunities. Nobody is perfect and it’s likely that you have faced some kind of failure or adversity on projects in the past. Being able to talk with clarity about where a previous project came unstuck and what you have learned is vital. Showing the proactive steps you would put in place to avoid that happening again demonstrates you can take positives from tough situations. Employers are looking for someone who can show their resilience and ability to bounce back from negative situations. As organisations are looking to digitalise, IT projects are increasingly becoming critical to overall business objectives and strategy. Having an understanding of where your project fits into a business’ overall strategy is critical for managing expectations and helps you to review and assess the overall performance and output from the project. Building your experience and demonstrating these key areas will propel you towards the next step in your project management career. Preparing for an interview? Read our top tips here. View the latest project management jobs. Sarah Flageole is a project management and business change recruitment specialist at Networkers, helping place IT project managers at organisations across Europe. Sarah heads up our Lean In circle, helping promote diversity and career progression opportunities for women in IT. You can get in touch with Sarah via email or view her latest jobs here.